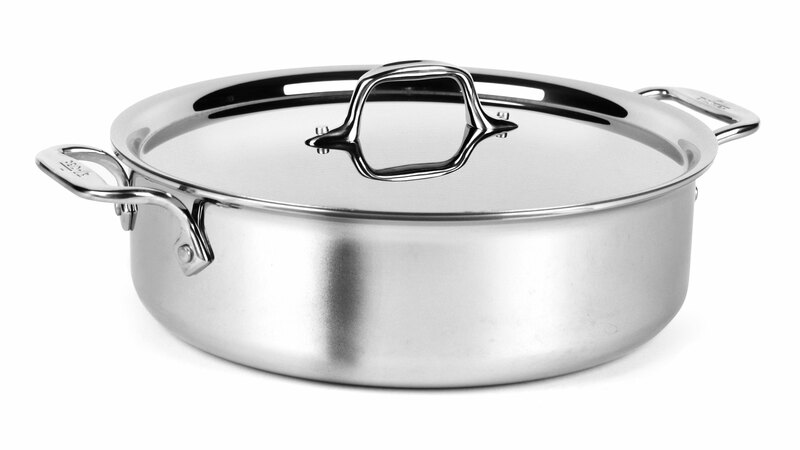 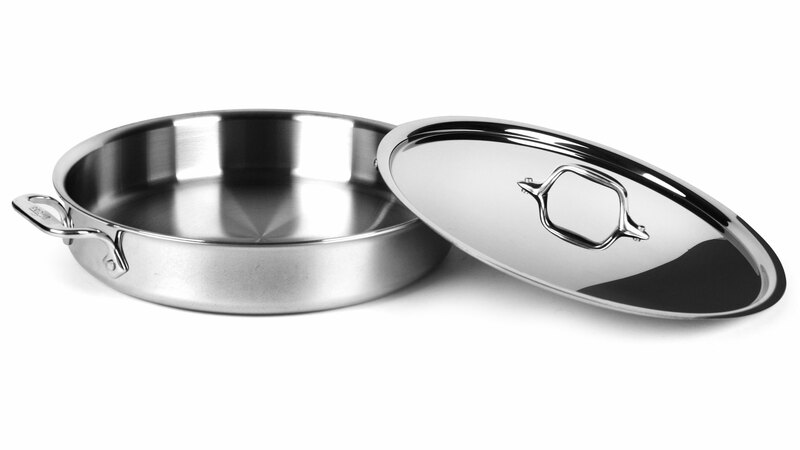 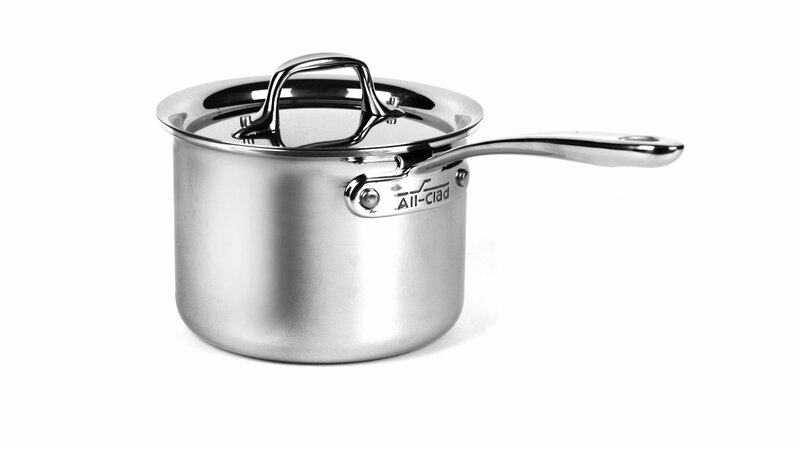 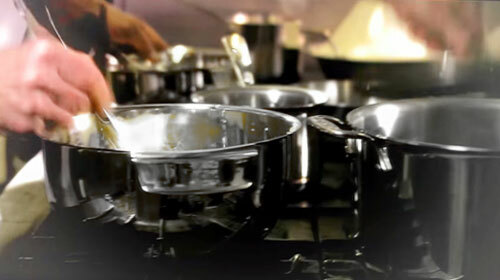 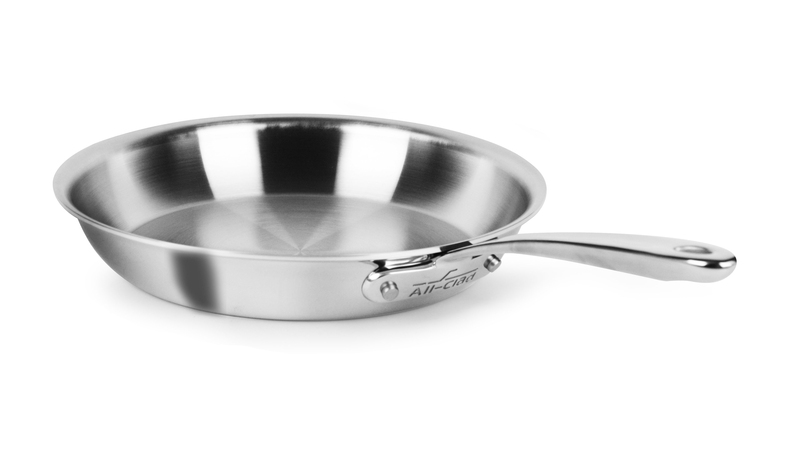 All-Clad D3 Compact features the reliable performance of triply bonded cookware, thoughtfully designed for compact storage, multi-functionality and comfort. 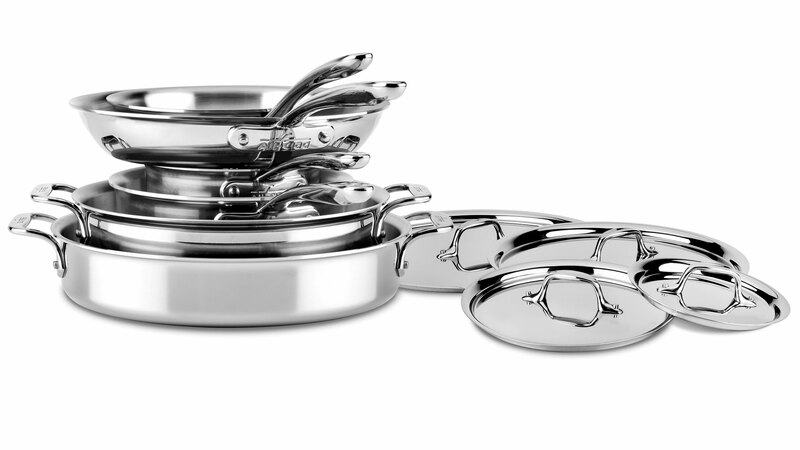 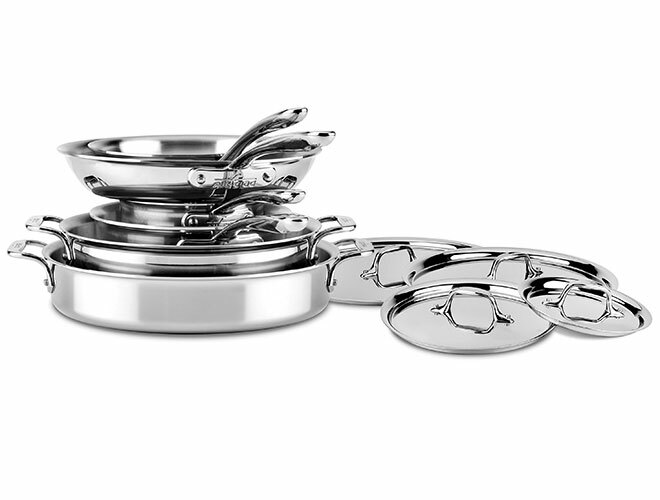 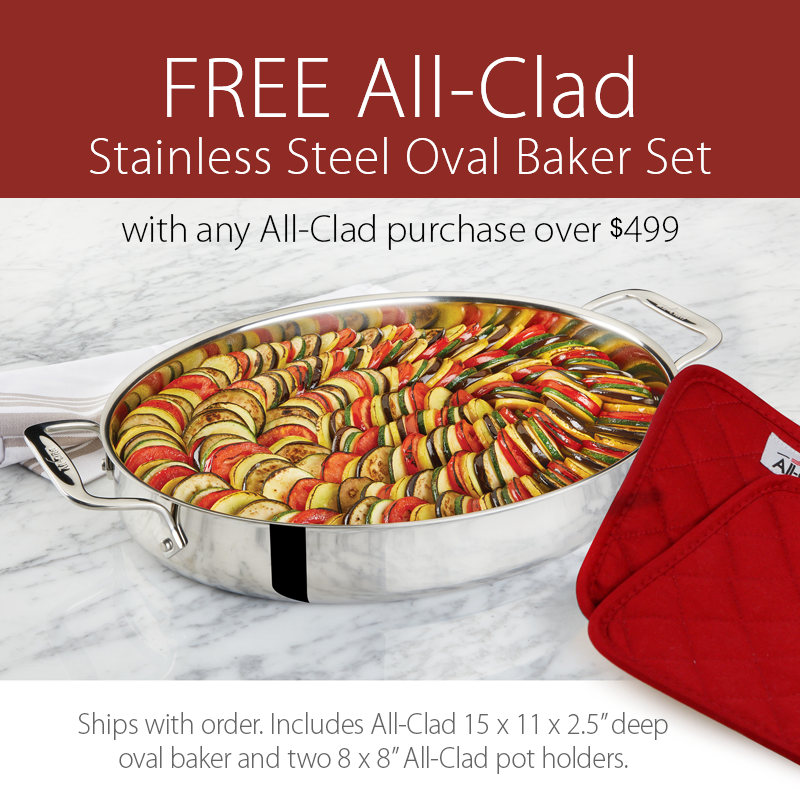 This set includes a 8.5-inch Skillet, 10.5-inch Skillet, 2-qt Saucepan with Lid, 3-qt Saucepan with Lid, 4.5-qt Sear & Roast Pan with Lid, 5-qt Stock Pot with Lid. 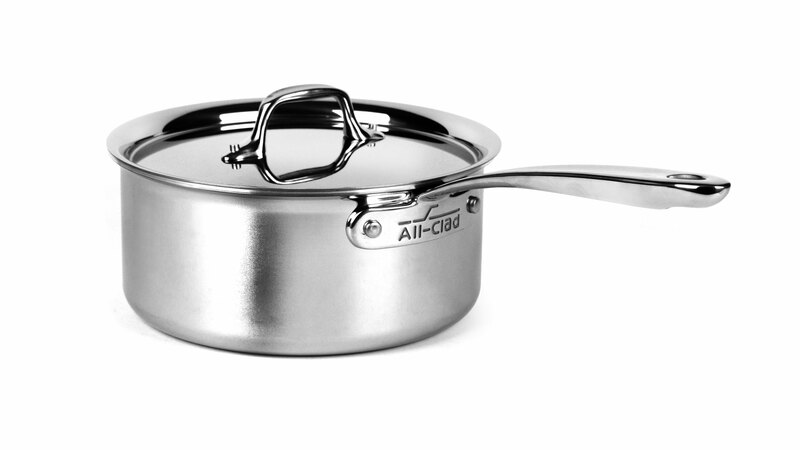 Interchangeable lids offer versatility, with the 3-quart sauce pan lid also fitting the 8.5-inch skillet, and the 5-quart stock pot lid also fitting the 10.5-inch skillet. 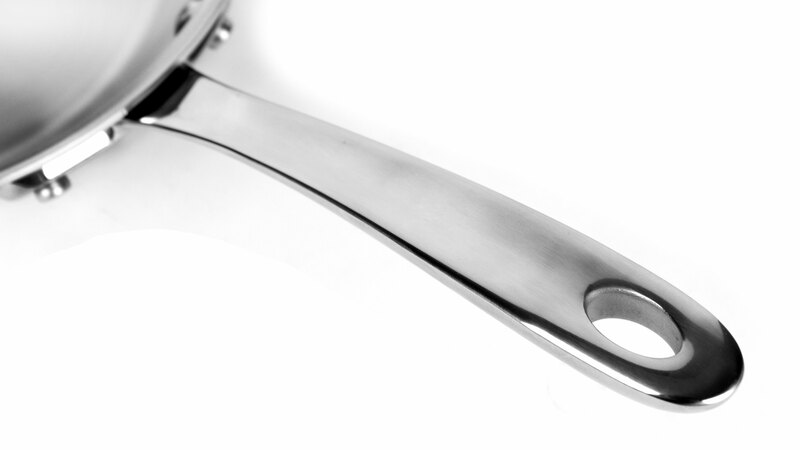 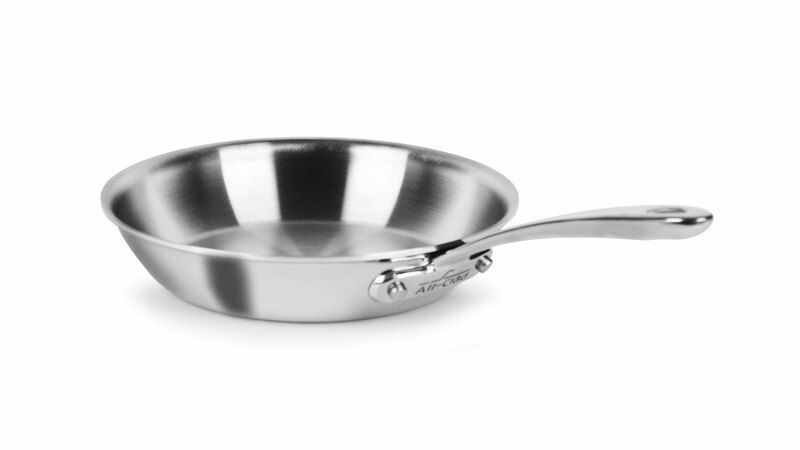 New contoured handles fit perfectly in hand and are securely riveted to the pan, while flared edges allow for accurate, drip-free pouring.